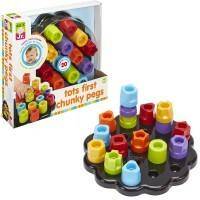 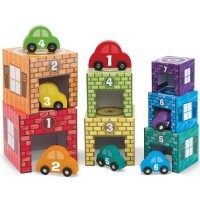 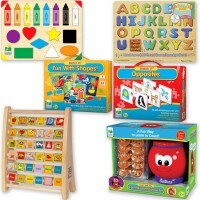 With Gear up Geo Blocks stacking toy toddlers turn the gears and watch the colorful wooden shapes move. 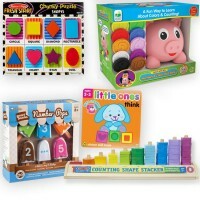 Gear up and cheer up with this terrific manipulative toy for tots! 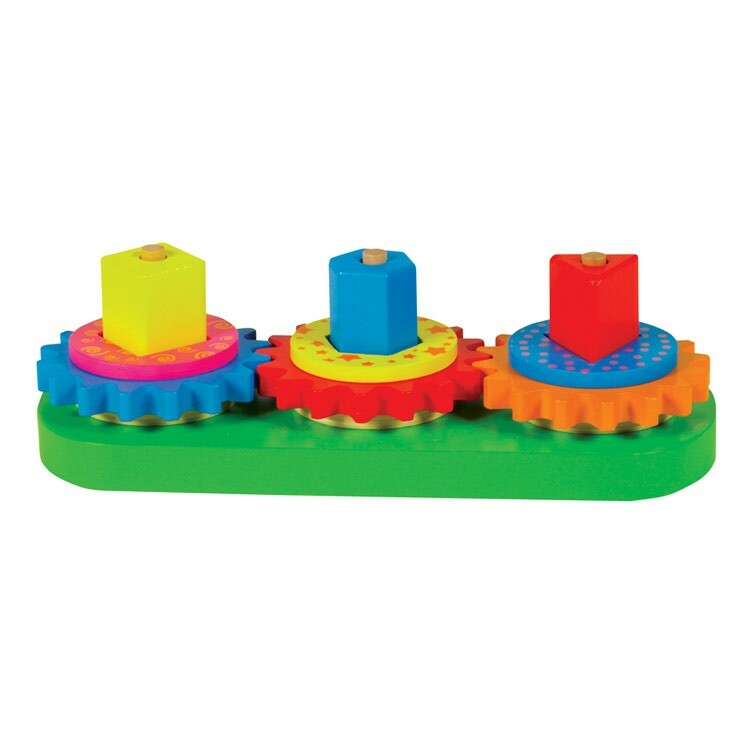 Gears Geo Blocks Sorting Board from Ryan's Room educational toy collection brings manipulative and thinking fun for the little hands and curious minds. 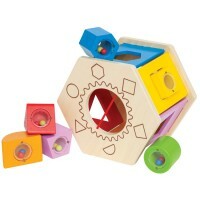 Match, stack the colorful 12 wooden pieces, and with a turn of the gear the blocks on the board rotate. 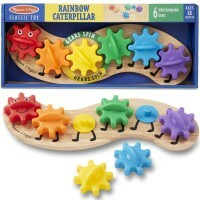 Turn the gears and watch the colorful wooden shapes move! 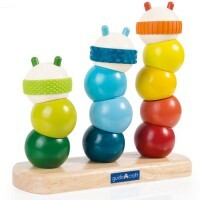 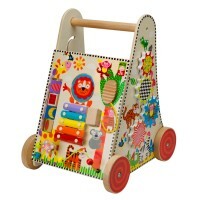 Patterns and bright colors of this stacking toy make it fun and attractive for toddlers. 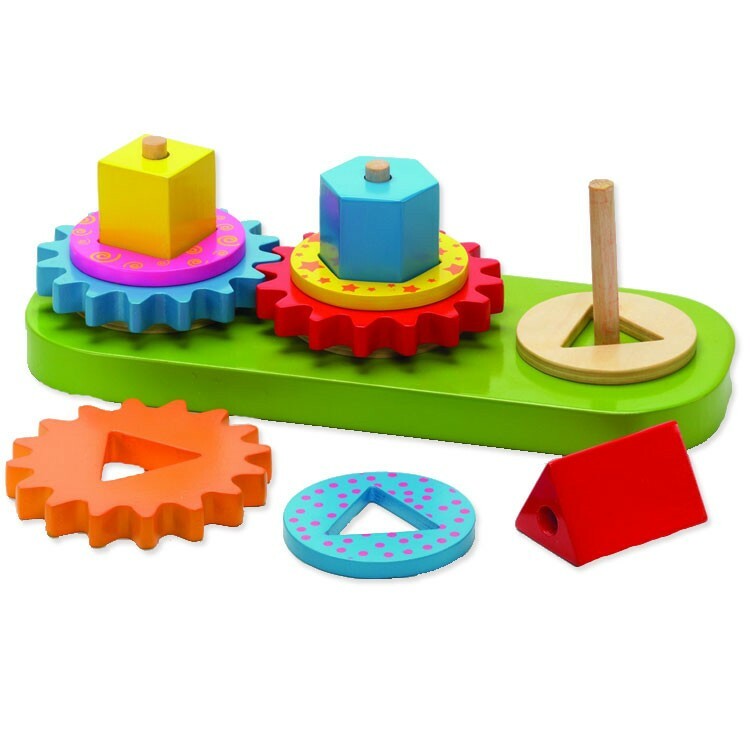 The gear stacking toy includes 3 geometric blocks, 3 matching pattern blocks, 3 colorful gear pieces, 3 natural wood blocks, and a sorting board with 3 pegs. 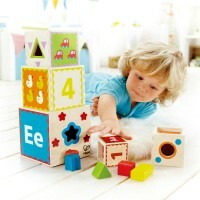 Gears Geo Blocks Sorting Board from Educational Toys Planet brings developmental fun for the youngest kids. 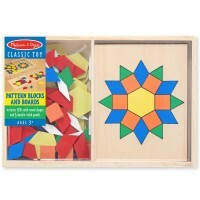 Dimensions of package 4.33" x 11.02" x 3.14"
Write your own review of Gears Geo Blocks Sorting Board.